Endangered Edens is the long-awaited follow-up to Marty Essen's six-time award-winning book, Cool Creatures, Hot Planet: Exploring the Seven Continents. 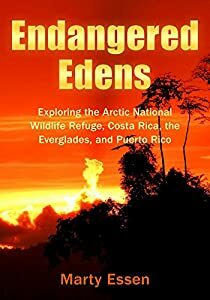 Whether traveling with Marty and his wife, Deb, in the Arctic National Wildlife Refuge, Costa Rica, and Puerto Rico, or going solo with Marty in the Everglades, readers will experience nature's Endangered Edens in a way few others have--all while laughing and learning along the way. In addition to Marty's entertaining stories, Endangered Edens also features more than 180 stunning color pictures--merging the genres of wildlife photography, adventure travelogues, and environmental education into one unforgettable book. You are part of the grand transition that is taking place in energy, but you are probably wondering what it all means for you. Human society has committed to getting off fossil fuels because they are warming our planet, and this shift will engage everyone. Why? Because everyone uses energy. Today you have choices in energy that you never had before, and your choices will affect many generations to come. This book will bring you up to speed on your many options in energy, all explained in terms that anyone can understand. 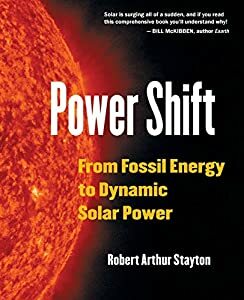 The award-winning book Power Shift: From Fossil Energy to Dynamic Solar Power retells human history through the lens of energy, explains the science behind the crisis--in clear, succinct language that anyone can understand--and provides a detailed blueprint for the future, from governmental, commercial, and individual perspectives. The book has been recognized as a Finalist in the 2016 Foreword Reviews' INDIEFAB Book of the Year Awards, and has received the Gold Medal in the Global Ebook Awards. Today, we've become mired in partisan bickering among politicians and oil, gas, and coal lobbying interests who insist that fossil fuels are necessary for jobs and the US economy. However, this narrow debate has failed to notice that the world has already embarked on a transformation in how we use energy that is so fundamental, it defines a new Solar Epoch, as monumental as the discovery of fire, the development of agriculture, and the exploitation of fossil fuels in previous centuries. The truth is that solar power--getting radically cheaper by the year--is not only a viable solution but, as the author states, "forms a clean energy system that can completely replace fossil fuels. We can gradually phase them in so that in 50 years we'll be 100% solar-powered. And because solar energy does not run out like fossil fuels, we will never need to go looking for another energy source again." The book also explores the related crises of out-of-control CO2 emissions from fossil fuel burning: glacial melting; flooding; drought; ocean acidification that threatens mass extinction of marine life; and the often overlooked costs of rising food prices and military conflicts over oil and other fossil fuels. Unlike other books on global warming and solar energy, Power Shift presents visionary plans for governments, corporations, and individuals concerned about climate change. And the author has "put his money where his mouth is." Having built a solar home in Santa Cruz County in 1997 and outfitted it with an off-grid solar photovoltaic (PV) system, Stayton cites numerous personal examples to inspire others to take similar action. Destined to become a classic in the field, and soon to be adopted as a basic text in college and university environmental studies programs, Power Shift is an indispensable reference for researchers and global leaders, a valuable staff training tool for solar companies, and a compelling, inspirational read for anyone eager to learn the truth about global warming and to participate "from the ground up" in the new Solar Epoch. Reader-friendly with beautiful illustrations and firmly grounded in current science, Power Shift also forges a cautionary tale of what lies ahead if we don't start acting now: "We seem to be waiting for a sign," Stayton writes, "a sudden event so catastrophic that it compels us to overcome political differences and take action. However, this disaster does not rush upon us like a hurricane, but instead slowly erodes our foundation, like termites. If we wait until the house collapses, we will have waited too long." If you buy only one book on the topic of climate change or solar power--for yourself, family, friends, or colleagues--you can depend on Power Shift to serve as a comprehensive, eye-opening, educational resource for years to come. Tantalized by how an experience in the Amazonian rainforest relieved and positively transformed years of struggle with anxiety and depression, Alice became interested in discovering what brought her such healing in the jungle. She embarked on a journey to Peru and Ecuador and discovered that in a world where material possessions and accomplishments are the prime expression of a person’s identity and source of happiness, a growing emptiness is taking over the world. This void is driving us to consumption, addiction, stress, and disease. Take a journey from the Big Bang into the deep forests of the Peruvian Amazon, and ask yourself how we got here, where we are, and what's possible for our future. Embrace the ecological crisis that is unfolding, and commit to doing the inner work required to nourish our planet, and our souls. 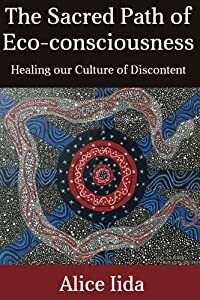 The Sacred Path of Eco-consciousness is a book that sews together the world’s ancient wisdom traditions, to bring healing to our discontented modern culture. * Honorable Mention in the 2014 Green Book Festival. *A nominee in the non-fiction (Green/Environment) category of the Global Ebook Awards.